Every year demand of Mobile App Development in india are increasing day by day. Here are the fact about growth of app developers. Why is the demand for Mobile App Development Companies in India increasing? Across the globe, mobile interactions are all the rage. 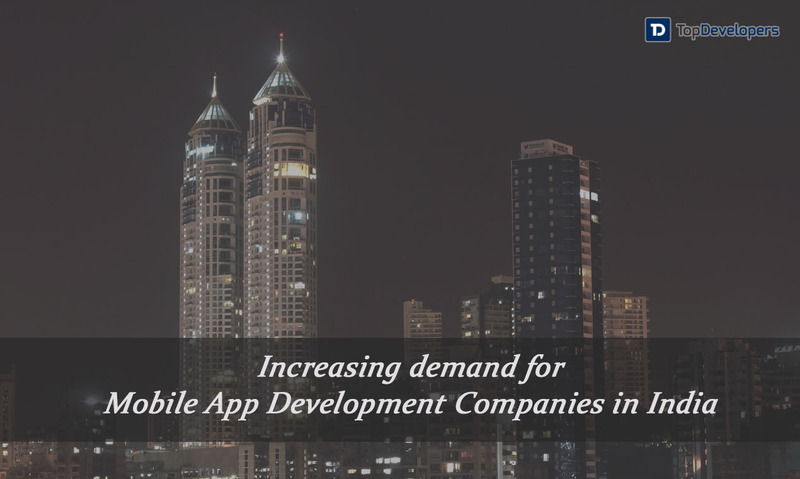 With increasing mobility, the mobile app development companies are also increasing at a high pace that’s making market cluttered with plenty of options. It has become challenging to narrow down the choice to one. Is it true? Of course, in most of the cases. Among the sea of app suppliers that are scattered around the world, the highest density of the app developers is found in India. Yes, India is the hub of app development and it’s the first name that comes to the mind of entrepreneurs when they wanted to get a mobile app built with a right mix of technologies, talented resources, and development methodology. 80% of the US and European companies consider India as the biggest global outsourcing destination. India leads the chart when fortune 500 companies wanted to outsource the software development, as reported by Nasscom. More than 3 million IT professionals are connected with outsourcing industry, according to PWC research study. This stats clearly states one thing- India is the top outsourcing destination globally. The very likely question emerged is why and how India managed to outshine against the big fishes. There are reasons that confirm, why the country ought to be at leadership position, uplifting the number of people looking for mobile app developers in the country. Apart from the figures, the IT workforce in India is highly qualified and easily accessible, either as a freelancer or as professionals associated with a company. The talented pool of experts holds degrees from the respected universities and are fluent in English as opposed to other outsourcing destinations. Besides, the developers have good expertise over HTML5 and bootstrap, and the better understanding of MEAP/MCAP, which impresses the companies looking to outsource the project offshore. Presently, India stands at the second largest position after the USA in terms of English speaking people with a strength of 100 million, and it’s expected to be 2 billion by 2020, which is a great advantage for the businesses as communication will no longer be a hassle. In the digital environment, English proficiency in Indian IT developers eases the understanding of the project and the client’s suggestions, which in turn enable the development that’s the exact replica of an app idea. ‘Achieve more with less’, stands true when you outsource the project in the hands of mobile app developers in India. Hiring an Indian developer is quite inexpensive, as compared to the American developers because, in America, every individual is supposed to provide pay packages, added benefits, insurance, standard and legal equipment and so on. With Indian developers, no such overhead expenses the businesses have to bear. Plus, the hourly rate is quite low that ranges between $15 per hour to $50 per hour depending upon the project’s comprehensiveness and when compared to the quality of the developers it is commendable. The comparatively less pricey development and no rigid pricing options make it easier for the businesses to let the app get built within the budget and reap the advantages. When companies outsource work to the mobile app development companies in India, the probability of getting an app developed before the deadline is higher due to time zone difference. The time difference offer more time to the developers to get the work done earlier than expected with improved efficiency, and which increase the overall productivity and outcome. 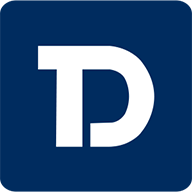 The timezone difference becomes an advantage and enables the project delivery in shorter duration. Outsourcing the project to Indian companies is an ideal option for swift services. To propel the Indian IT industry’s image as the excellent outsourcing destination to the offshore companies, the Indian government has enacted a bill named- IT Act 2000 to punish the cybercriminals, take care of e-filing of documents, and recognization of electronic contracts. The IT parks are buil twhere in the foreign investors are incentivized and offered concession to support IT technologies and infrastructure. Also, the ministry of IT is set up to approve and implement the IT projects at speed, and streamline the IT regulatory process in India. Additionally, the government has framed many policies that benefit Indian IT outsourcing industry with various tax-related benefits and provides 100% foreign equity and backs IT infrastructure development to promote the IT sector and get the most out of it. Despite having time zone difference, the mobile app development companies in India are boasting to offer the services and stay in communication 24/7. The dedicated team of developers assigned to your projectis flexible andworks and communicate with the client according to their time zone. The round the clock availability and willingness to work long shifts even during odd hours make the Indian firms popular in providing impeccable development and long-term maintenance services to the businesses. Although India is a developing company, but it has applaudable telecom, ISP, high-speed bandwidth via satellite connectivity and cellular networks in all the urban, semi-urban and rural areas that enables uninterrupted communication with the client. Be it a mobile app development, system migration, process re-engineering or system integration, the Indian outsourcing companies have all the needed infrastructure in place. Irrespective of the evolution of mobile app programming when it comes to building the app leveraging emerging technologies and advanced tools, the talented developers stay ahead of the game. Every year, the IT software export from India is increasing by 30%. It signals Indian mobile app development companies are outgrowing, outperforming and outpassing other nations in terms of outsourcing. A piece of advice- if you are looking for an app development company to help you from strategizing to designing and development to the implementation, then the top mobile app developers in India will be of a very good help. The cost is not a single parameter due to which India has become the preferred outsourcing destination, while swift development speed, high quality, unmatched support, seamless communication and noteworthy infrastructure are the reasons that are increasing the offshore company’s reliance over India and favoring the Indian IT companies as their technology partner.